Over the past few months, I’ve gotten serious about picking, collecting and selling. After more practice and research about best picking and selling methods, I’ve never felt more confident about what to look for and at what prices. If you’ve kept up with some of these yard sale/thrift store posts, you know that I’ve been building on my board games collection. Unlike some of my video game collection, I’m focusing only on the coolest games that I plan on playing more than once. I’ve been looking for only a few of the coolest that I can find and that support games with multiple people. Lego Creationary fit the bill. It’s considered the world’s first collection of games that you build, play and change, with the unique buildable LEGO Dice and changeable rules. This one seemed in almost like-new condition– probably played once and put away since. 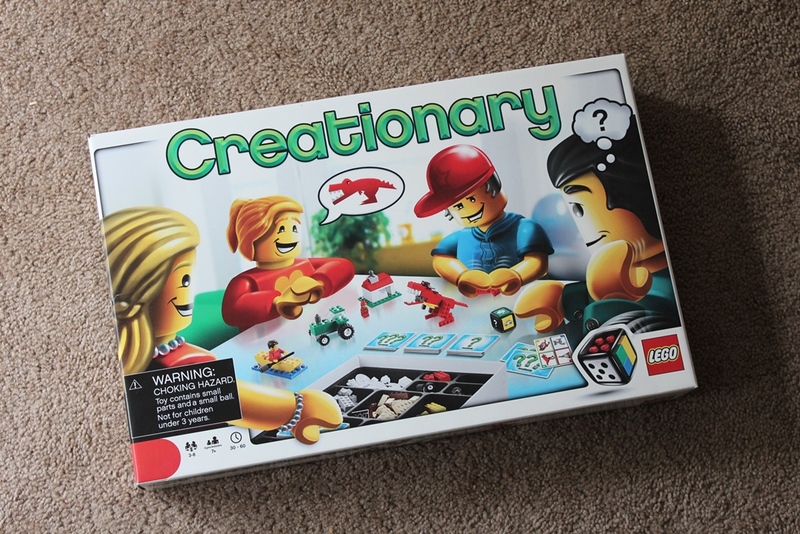 I was especially drawn to Lego Creationary, because it combines two of my favorite items to pick– Legos and board games. Lego Creationary is valued at about $20. So I stopped about fifteen minutes before it was scheduled to start. I hopped out of my car with a cheerful “good morning” to the man and woman setting up. The woman glared at me and snapped, “it’s not 7 a.m. yet!” I said, “oh ok,” and hopped back in my car and backtracked to some of the other yard sales that I skipped on the way there before making my way back. When I came back, I made sure to speak mostly to the man, who seemed less aggressive and angry. 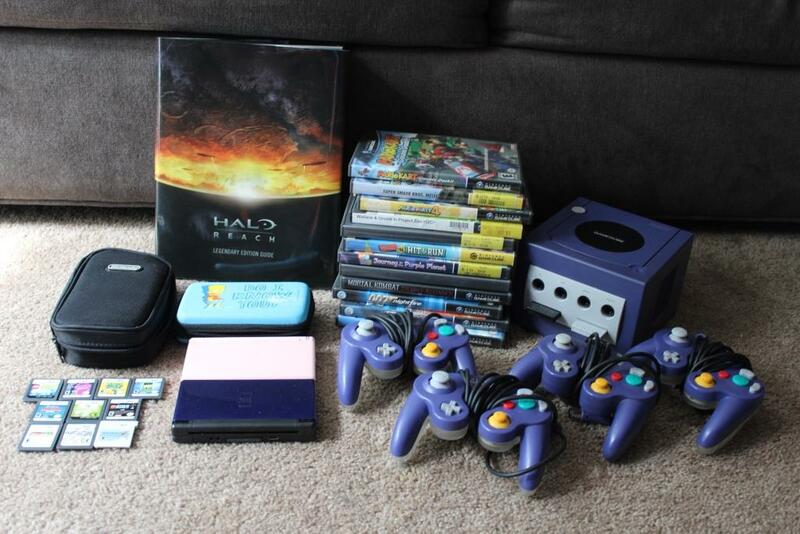 At first glance, $100 seems a bit steep for a Gamecube, two DS Lites and some assorted games. But unlike the games included with the last few consoles I’ve purchased, these are some solid titles. The highlights are: Super Smash Bros Melee, Mario Kart: Double Dash, Mario Party 4, Mario Kart DS, Mario Kart 7 and Mario and Luigi: Bowser’s Inside Story. My goal with this one was to talk them down to a low enough price that would allow me to keep all the games that I wanted to add to my collection and sell the rest to cover the cost of the entire lot. Mario Party 4 was the last Mario Party game (of four) that I needed for the Gamecube. And Wave Race, Need for Speed Underground, Mortal Kombat: Deadly Alliance and 007 Nightfire were some other awesome titles to add to my Gamecube collection. 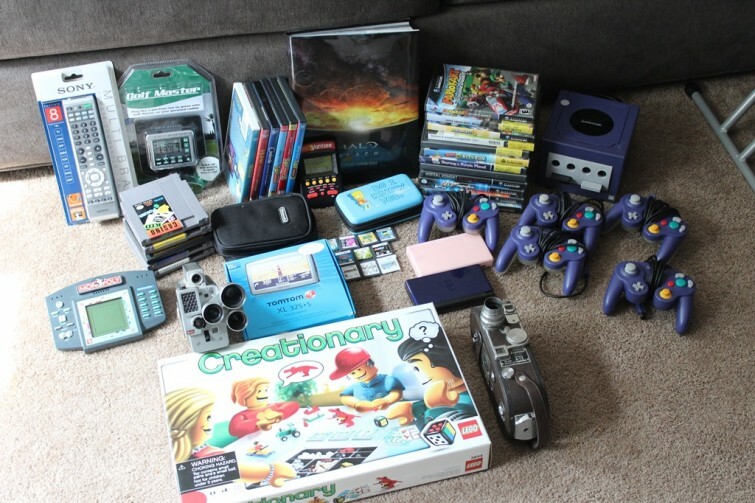 I’m also really into collecting Nintendo and Sony handhelds. So the pink and blue DS Lite consoles were welcomed additions. Super Smash Bros Melee, Mario Kart: Double Dash and all of the loose DS games should pay for the entire lot. The loose copy of Pokemon White from part three of my yard sale hauls, ended up selling for $22. After all of the eBay fees and the cheapest available shipping option, that ended up being $16. So my goal is to keep the games I need and break even on the rest. Ideally, I could still make a profit. FIFTEEN MINUTES EARLIER, after the Gamecube lady told me to scram, I drove back to this yard sale that I had passed. Interestingly, I do a better job at picking with positive energy. The first lady was pretty mean, and that kind of threw me off a little bit. So as I killed time at other yard sales, I was more polite and cheerful to the other sellers, making sure I say things like “good morning” when I pull up and “thank you, good luck with the rest of your sale” as I leave. It might sound crazy, but for me, it helps to start my yard sale day with positive interactions with sellers. So that’s what I did with the guy at this sale. He didn’t have much for sale– probably about two tables of stuff. But I’ll take two tables worth of quality stuff for a entire yard full of junk any day. The first thing that I noticed was a special edition, hardcover copy of the Halo Reach strategy guide (pictured above beside the Gamecube games) for $1. So of course, I said, “I just noticed your Halo guide. Do you happen to have any other video games for sale?” He said that he has games, but he’s keeping for his kids. It was worth asking. I generally don’t collect strategy guides, but I’ve accumulated some as I’ve purchased games in lots. I don’t sell them either, because they’re generally not worth the trouble trying to ship them. But sometimes the really nice ones are hard to resist. So I thought about buying the Halo Reach guide as I scanned the rest of the yard sale. The next thing I saw was a sealed universal remote. Upon inspecting it, he mentioned that he bought four of them on Amazon and that all four were still sealed. He took three more out of an Amazon box. He never bothered explaining why he bought four name-brand universal remotes and never opened any of them, but I didn’t care to ask. He said he’d give them to me for ten bucks. I contemplated a bit. My thought process was: Sony is a good name brand, so it should sell, it’s kind of hefty, but I think I could fit it in a medium sized padded envelope and ship it for about $2.50 each, it’d be convenient to get all four if they do sell well and make some quick cash, Father’s Day is coming up so these might sell well for that purpose. 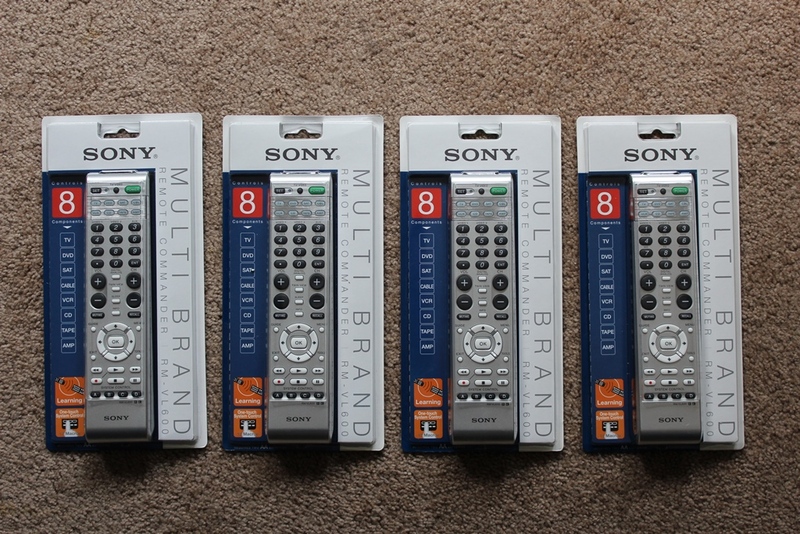 It turns out, the remotes are valued in the realm of $20, which could mean about $12 profit for each remote. The Halo guide doesn’t seem to sell, but I may reference it when I get around to playing that game. There isn’t too much to explain here. 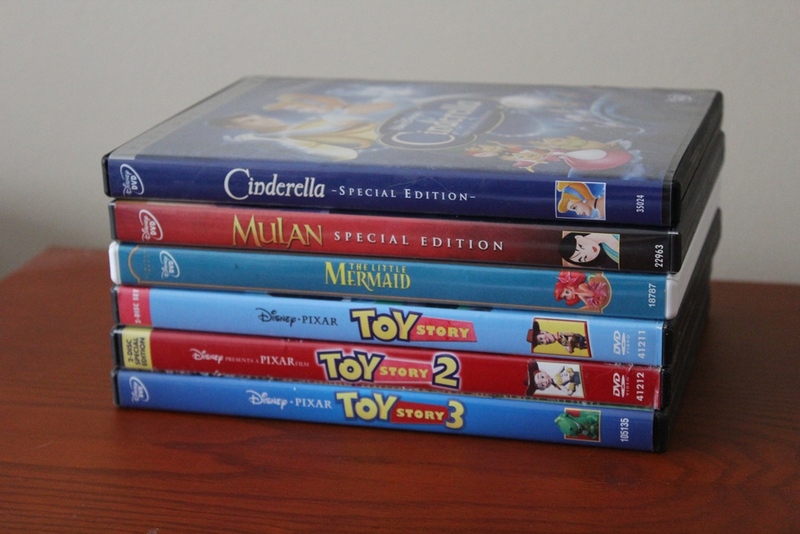 I bought the girly Disney DVDs ($3) at one yard sale and the Toy Story DVDs ($5) at another. I made sure that all of the cases had the correct DVDs in them, they were all scratch free and they didn’t smell– three important things to look out for when you’re buying anything used by a child. The last time I sold Disney DVDs was a few weeks ago. The Little Mermaid, Tarzan, Finding Nemo, The Incredibles and Wall-e all sold for a total of $38. I paid $15 for those, which after fees and shipping meant about $13 profit. The challenge is getting them listed, sold and shipped as quickly as possible. Turnover rate is important, I’m beginning to understand. Hopefully, my profit on these movies will add up to $20 and I’ll have them out of my possession within two weeks. Handheld electronics are my favorite things to sell for a number of reasons. Firstly, I’m a big consumer of handheld electronics, so I’m familiar with the features and with the market. They’re also usually easy to inspect and test, they don’t take up much room, they’re easy and cheap to ship and they usually sell pretty quickly. These three came from three different places, so I’ll discuss each separately. Monopoly was my one regret this week. It was $2 at a local thrift store. But since a lot of people love to play these as a travel game and because it has a big screen and multi-player capability, it usually goes for $15 to $20. I assumed that it worked, because it looked clean and unused. But when I got home and unscrewed the battery pack, there was battery corrosion that made it unplayable and unfixable. Lesson learned: don’t take a chance unless you know it works. But $2 isn’t a huge loss. The sealed Golf Master was a dollar, but I asked to take it for 50 cents. I didn’t know much about it, but I figured it was sealed and looked good. It isn’t a name brand, so I don’t know what to expect. I’m going to try to sell it for $9. Yahtzee sales are a strange phenomenon on eBay. 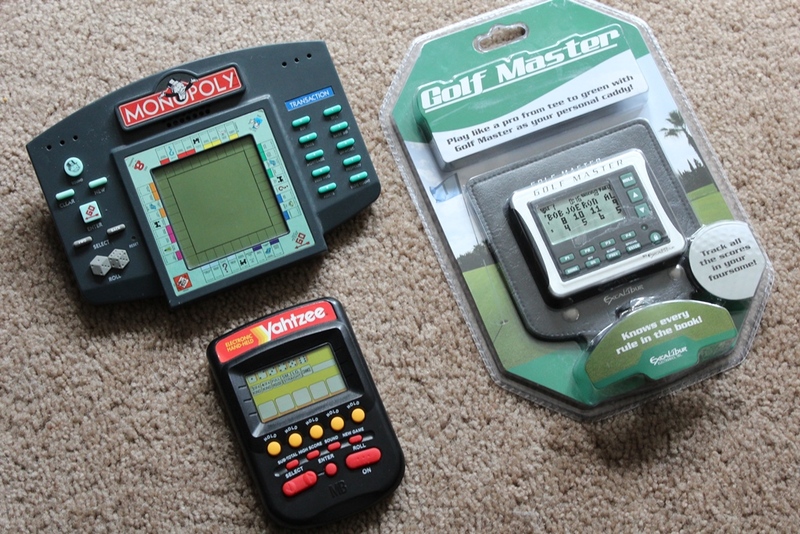 Most similar Milton Bradley handheld games sell for nothing, but for some reason, Yahtzee games are always being sold, and they’re always bought for about $10. I tested this one at the yard sale, saw that it worked and bought it for 50 cents. A $10 sale would be a $5 profit, but if I can consistently sell these as quickly as possible, it’s worth it for me. I have been considering the idea of going for a complete NES collection for years now. And only recently did I decide to go for it. I stopped by my local Value Village and saw these in the display case for $1 each. So I bought them all, bringing my NES collection up to 42. Sadly, nothing here is remotely special. These are all very common titles, worth about $25 total. 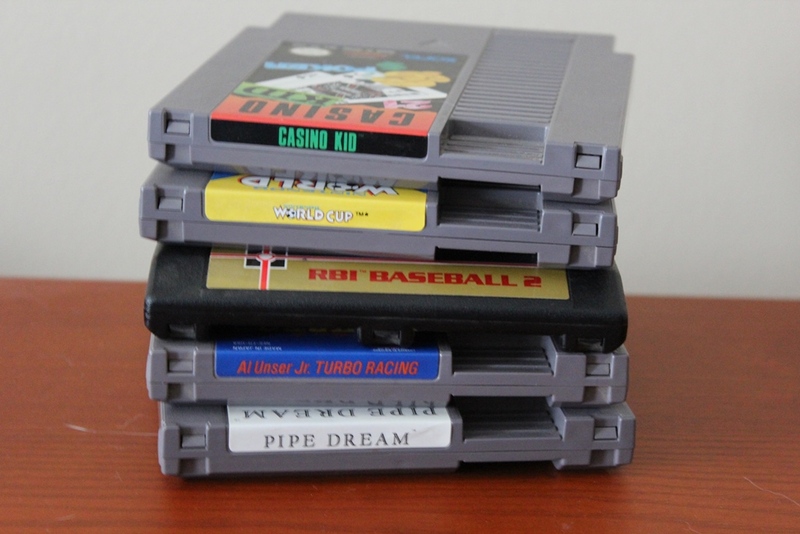 But any complete collection starts with picking up the cheap common games several cartridges at a time. If you noticed in the picture above the headline, I also picked two really interesting vintage cameras and a nice GPS. I purchased the GPS for $15 to replace my mom’s, which I accidentally broke. So I decided not to discuss that. Like with my antique opera glasses post, I felt that the two cameras deserved their own posts. So stay tuned next week for a closer look. Be sure to check out more of my yard sale and thrift store hauls, right here. Please leave your thoughts in the comment section. Do you feel like you need to have positive social interactions with sellers when you pick? If you’re a game collector, what are your thoughts on collecting strategy guides? What are some of the best items you’ve picked this week?